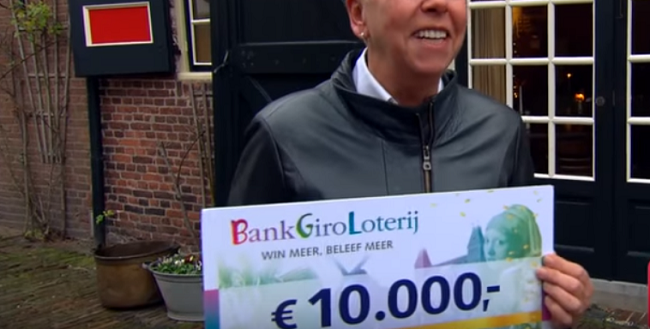 The BankGiro Lottery was established in 1961 as the ‘Girolottery’. It changed it’s name in 1978. From then on it focused mainly on charities. Since 2002 this lottery has been part of the so-called ‘Holding Nationale Goede Doelen Loterij’. It works together with the Postcodeloterij and the Vriendenloterij. BankGiro is the ‘older brother’, because the other two lotteries were both established in 1989. The number of participants is still growing . Nowadays about 600.000 people participate in the weekly and monthly draws of the BankGiro Lottery. When the the draw of the Bank Giro Lotto? Who will win 1 million euros?